Are you going to TCEA in Austin? 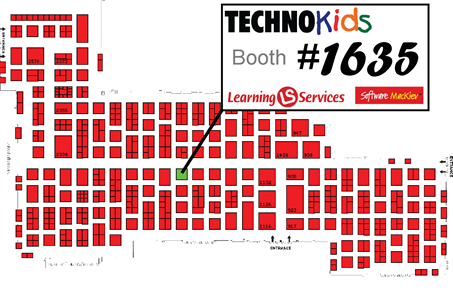 Stop by Learning Services/Software MacKiev booth 1635 for a FREE TechnoKids Project. View new TechnoKids projects, watch a demonstration of software from Software MacKiev, or check out the latest education products from Learning Services. Hope to see you! February 3-5 in the exhibit hall.